This entry was posted in Animals, Debt, Draftees, Finding a husband, Finding lost objects, Infertility, Oppressed people, Orphans, Paupers, Pregnant women, Prisoners, Sailors, Shipwreck, Starvation, The poor, Uncategorized by sandra dipasqua. Bookmark the permalink. Thank you St.Antounios when I loss something in your name I can find it your name is miracle . While it is believed that Catholics pray to St. Anthony to find lost articles and persons, the idea is misunderstood. Catholics do not pray to the saints. Instead of directly praying to St. Anthony, Catholics pray to God, and ask him to help find their lost item. While they are praying to God, it does not hurt to ask St. Anthony, the Patron Saint of lost items, to also pray to God for help. 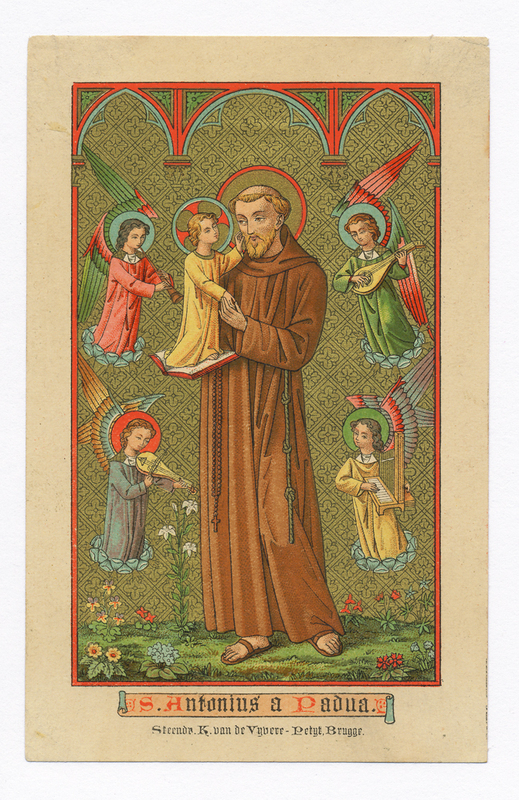 Asking a saint, such as St. Anthony, to pray for you, is a lot like asking a family member or friend to pray for you. As the Bible says, “The prayer of a righteous man availeth much.” Since Catholics believe this to be true, they ask for the prayers of the righteous in Heaven. When news of the Franciscan martyrs in Morocco reached him, he joined the Franciscan Order in 1221, when he was 26 years old. At his own request, he was sent as a missionary to Morocco with the mission of preaching among the Moors. He had to return to Europe because of ill health. After this, St Anthony was moved to Romagna (Italy) and spent 9 months as a chaplain to hermits. He was so modest that he thought nothing of spending his days carrying on the lowliest duties of the kitchen and convent. But the Lord had bigger plans for this holy man. At an ordination ceremony, the priest who was about to give the sermon fell ill suddenly and St Anthony was called upon to give the sermon in his place. Although he refused with humility at first, he eventually had to do so because of his vow of obedience to his supperior. The rest as they say, is history!